Now playing through March 17 at The Fabulous Fox. Carole King sold her first song at only 16 years old. Not only did she start writing songs at a young age, but many people may not even realize just how many hit songs she has written. The singer-songwriter was responsible for many chart-topping numbers of the sixties. However, it wasn’t until 1971 that she performed live for the first time at Carnegie Hall. Beautiful is the story of how she got there. 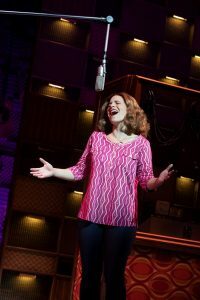 Sarah Bockel is phenomenal as Carole King. Right from the very start of the show, which opens with her playing “So Far Away,” we are introduced to her tremendous singing voice. And her performance, not only as adult Carole, but from the moment we’re taken back to 1958 makes it instantly clear that the audience is in for a treat. Read our interview is Sarah here. Bockel makes the transition appear effortless, as she perfectly captures Carole’s range of ages throughout the show. We watch her grow up across two Acts, and Bockel’s nuanced performance guides us smoothly along the journey. 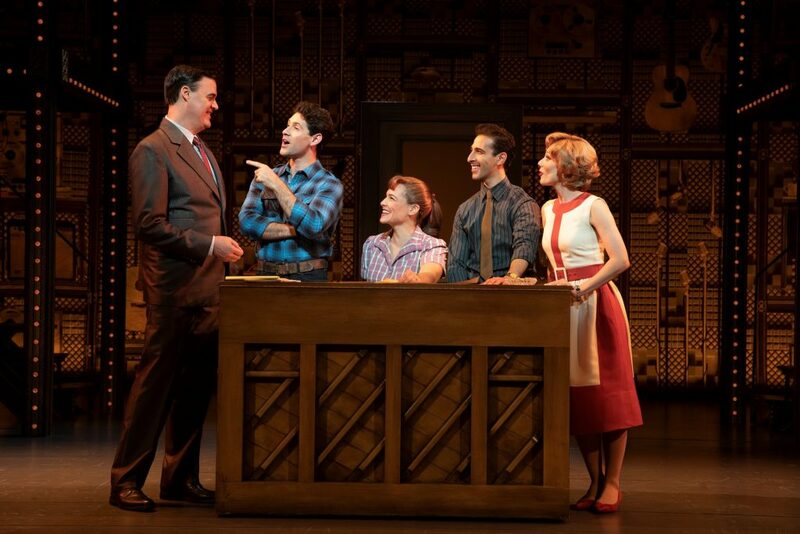 Dylan S. Wallach plays Gerry Goffin, Carole’s first husband who she marries at a young age after finding out she’s pregnant. Wallach is charming and smooth as Goffin, but we soon find out that the character is struggling with more than what’s on the surface. He has great chemistry with Bockel, and the two of them are a delight to watch as both a couple and a musical team. Alison Whitehurst and Jacob Heimer play Cynthia and Barry, a competing writing team who come close friends with Carole and Gerry. Both of these actors are terrific, with hilarious personalities and excellent voices. When Alison is introduced as Cynthia, she does an energetic performance of “Happy Days Are Here Again” that’s so much fun. The two also share a wonderful chemistry, as their characters write “On Broadway” and “You’ve Lost That Lovin’ Feelin'” among others. The entire supporting cast and ensemble are fantastic. Lots of laughs come from James Clow as the boss of the record label, as well as Suzanne Grodner as Genie Klein – Carole’s protective mother with a strong personality. The show is packed with dancing and singing from everyone else that is sure to please. 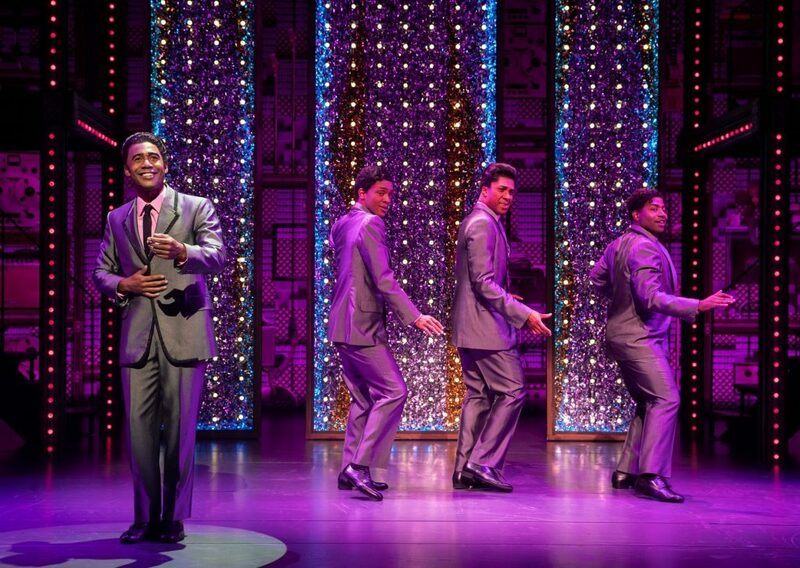 There are amazing performances by The Drifters and The Shirelles throughout the show, which always had the audience erupting with applause. Costume designer Alejo Vietti has done a brilliant job outfitting the characters for the late fifties to the early seventies. Especially when it comes to the flashy numbers by the groups, their period-appropriate dresses and suits looked amazing. The sets looked great, thanks to designer Derek McLane, as the story bounces between Carole’s childhood home, her office at 1650 Broadway, and her adult home with Gerry and the kids. Pianos and furniture seamlessly slide in and out, as detailed backdrops are lowered into place. But the real magic comes from the songs, and the voices and instruments that back them up. The orchestra sounded great as they accompanied the cast. Songwriters are often overlooked, as they are quietly producing hits from behind the scenes. This is the case with Carole, who has lived a fascinating life while staying out of the spotlight for many years. 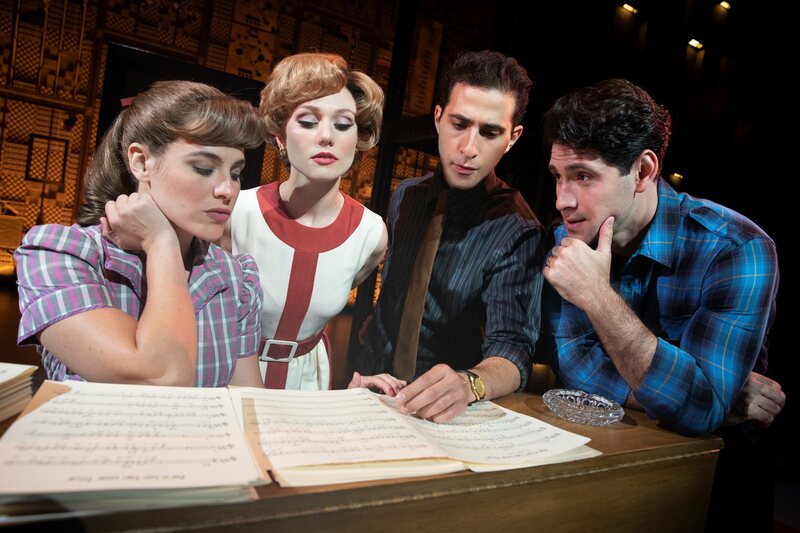 But her story is one that deserves to be told, and makes for a terrific musical and a beautiful evening of theater. 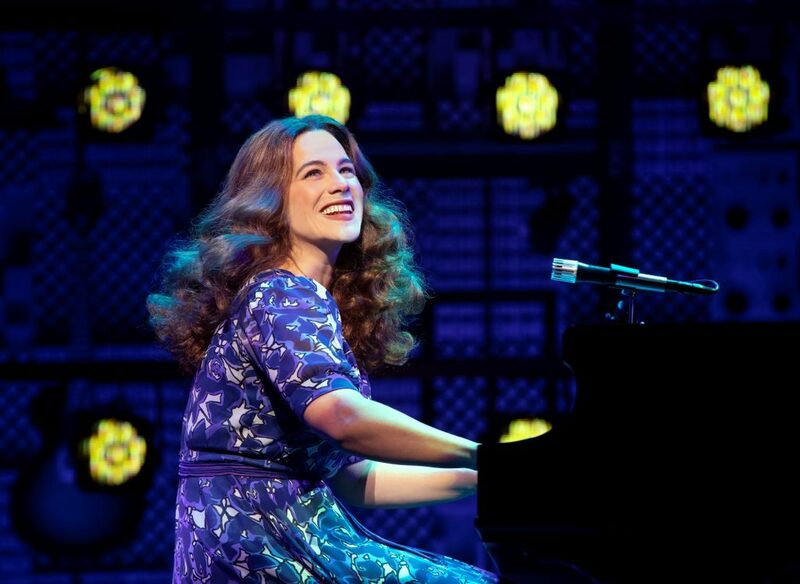 See ‘Beautiful – The Carole King Musical’ at The Fabulous Fox Theatre through March 17. Tickets are available via MetroTix. For more information, visit fabulousfox.com or the official tour site at beautifulonbroadway.com.